St. Boniface General Hospital's decision to forbid medical-assisted deaths is drawing condemnation from end-of-life care advocates and an expert on medical ethics. Arthur Schafer, a founder of the University of Manitoba's Centre for Professional and Applied Ethics, described the recent board decision to ban medical-assisted deaths as "fundamentally wrong." The board of St. Boniface Hospital initially voted in favour May 29 of allowing doctors and other medical staff to assist some patients to die in special circumstances. But on May 30, the hospital's owners — Catholic Health Corp. of Manitoba — held a special meeting and appointed 10 new members of the board who overturned the policy two weeks later. "They're not taking into account people's end-of-life comfort," said Schafer. As a publicly-funded institution, Schafer argues the board has no business dictating policy that flies in the face of an entitlement under Canadian law. "The idea that the kind of care patients receive at the hospital has to conform to church doctrine even when that may be prejudicial to the well-being of the patients strikes me as ethically questionable," he said. St. Boniface should leave it up to individual doctors and other health-care providers to decide for themselves whether or not to provide a medical assisted death, Schafer said. Under the federal assisted-dying legislation, there is a law guaranteeing medical staff cannot be forced to help a patient die. 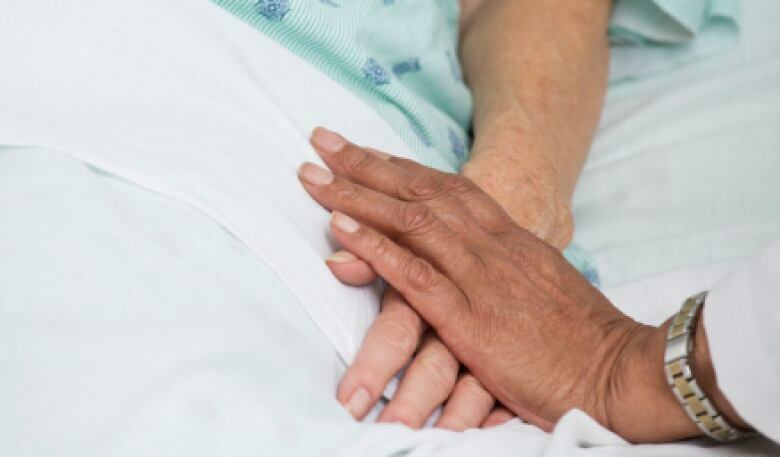 Sherry Marginet, a spokesperson with the Manitoba chapter of Dying with Dignity, a group that advocates on behalf of patients who require end-of-life care, said she was "disgusted" by the actions of the St. Boniface board. "People who are looking for this aren't doing it for something to do. They're suffering," she said. "It makes me angry." Marginet, like Schafer, argues the church has no place deciding the care doctors can provide at a public hospital. "People have consciences, businesses don't. And the hospital is a business that is funded by the government, by taxpayers of every faith," Marginet said. "[Faith] shouldn't be part of the question. It's about illness." Along with assisted dying, St. Boniface Hospital also bans non-therapeutic abortions. After the previous board chair resigned, Tom Carson, took over as chair of the board of St. Boniface Hospital earlier this month. While he said his personal beliefs may differ, Carson respects the decisions informed by faith, especially given the hospital was founded by the Grey Nuns and has along history of being governed by the Catholic church. "St. Boniface will do everything but the shortening of somebody's life," Carson said. The hospital is one of only two in Winnipeg that provides palliative care — a service which focuses on reducing pain in terminally-ill patients. The other facility is at Riverview Health Centre. Carson said he and the remaining board members are focused now on making sure patients who require MAID do not have to face discomfort in their transfers to other facilities that provide medical-assisted deaths. "For us, the issue really is how do we make sure that movement is the most compassionate it can be," he said. St. Boniface, like Concordia Hospital in Winnipeg, another faith-based institution, will allow medical assisted death assessments to take place on-site and assist in transferring patients to another hospital to receive MAID services. Misericordia Health Centre provides patients with materials on how to contact MAID. A written statement from Manitoba's Health Minister Kelvin Goertzen said the province respects the decisions by healthcare facilities who elect not to provide medical-assisted deaths. "However those facilities that do not perform MAID are required to have protocols and procedures in place to transfer patients, in a manner that is safe and dignified, to an alternate facility," he said. Since March 2016, there have been 52 medical-assisted deaths in Manitoba.